Friday, November 16th at 7pm at Evergreen Christian Community. All of us can do something to care for foster kids; even if it's not the same thing. 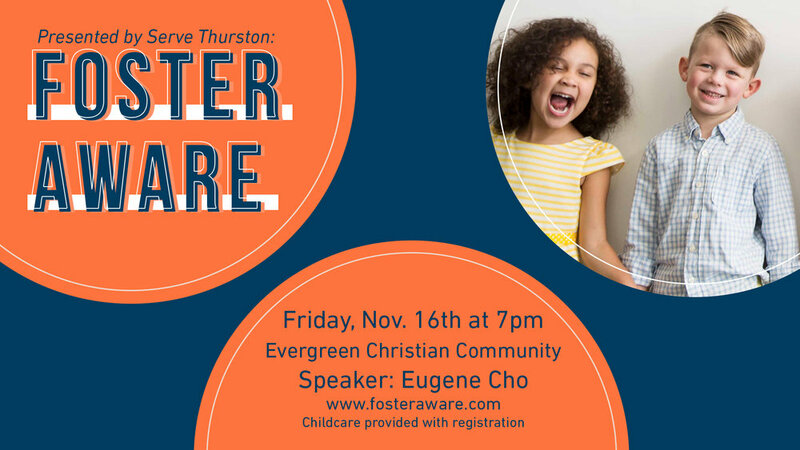 Join us at Foster Aware, to hear from One Days Wages founder and Christian Alliance for Orphans Conference speaker Eugene Cho. Come with a heart to do something, be inspired, then leave with a passion. Go to www.fosteraware.com to register. Childcare provided with RSVP.